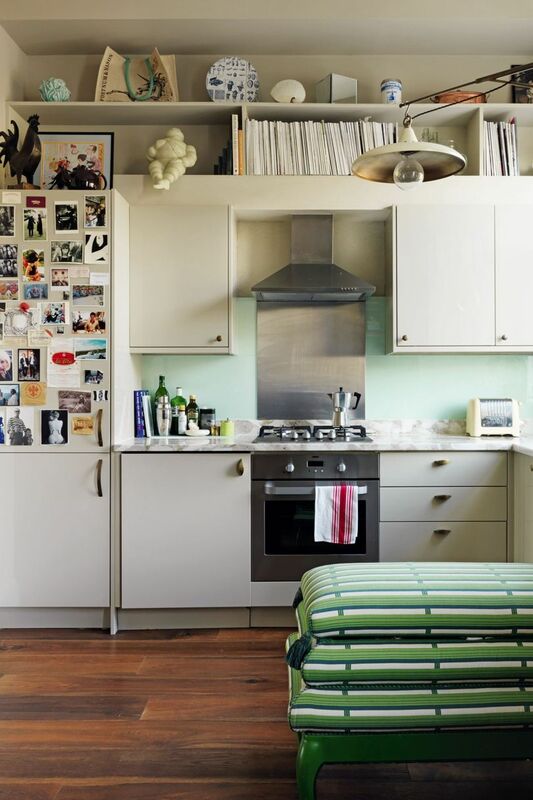 an adorable makeover in london. this kitchen gains all the points when you see the before. the whole flat is a gold medal winner based on befores. but also because it's dead cute. and uses every tiny inch.